In 2006, PRCF Vietnam engaged in a Cave Fauna Research Project in the karst caves mountains of Kim Hy Nature Reserve in northern Vietnam. 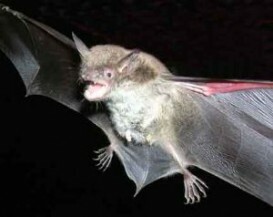 Through this project, we discovered the Rickett’s big-footed Myotis, a bat species new to science. During an intensive field survey between 2006 and 2007 three specimens of a white- bellied and relatively large Murina species was collected in primary forest on limestone karst in Kim Hy. The specimens, initially considered to be close to Murina leucogaster or a ‘larger form’ of Murina huttoni (respectively), were subsequently re-examined and described as a new species to science belonging to the “cyclotis-group”. The new catalogues species, Murina tiensa, is characterized by its large size and dental features among other. Currently, it is known from northern and central Vietnam. A new species of Kerivoula (Chiroptera: Vespertilionidae) from South-East Asia. Description of a new species of Murina from Vietnam (Chiroptera: Vespertilionidae: Murininae). Description of a new species belonging to the Murina “suilla-group” (Chiroptera: Vespertilionidae: Murininae) from northern Vietnam. The role of ultrasonic bat detectors in improving inventory and monitoring surveys in Vietnamese karst bat assemblages. Bat diversity in Vietnamese limestone karst areas and the implications of forest degradation. Long-term monitoring of tropical bats for anthropogenic impact assessment: gauging the statistical power to detect population change. Accounting for detectability improves estimates of species richness in tropical bat surveys.